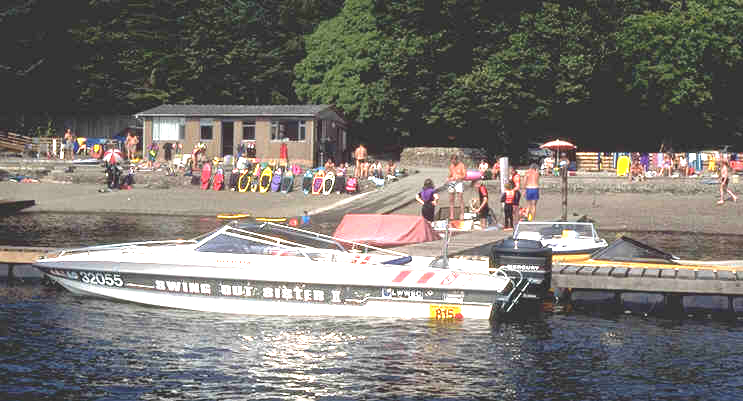 The Smee Family have been water skiing on Loch Ken for thirty five years. 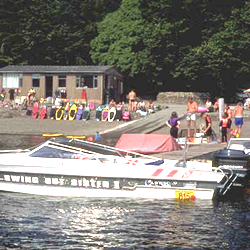 Things have changed since the early days and we are now able to offer a full range of facilities providing fun and enjoyment for holidays or just a day out with family or friends. Launching Ramp, Moorings, Jetties, Dry Storage. Full Slalom Course, Ski-School if required. Over one mile for recreational skiing / boarding / toys (another eight miles at 10 m.p.h.). Changing facilities, showers, toilets, kettles.